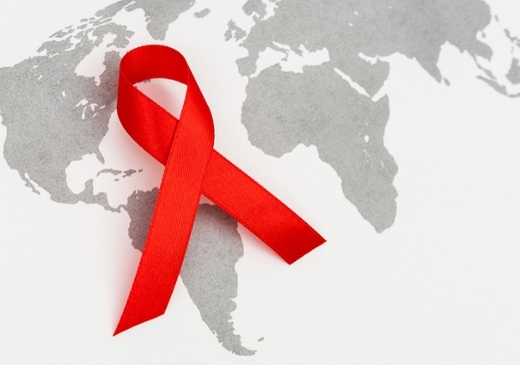 In an editorial in the June 6 issue of JAMA, Emory infectious disease experts describe global progress toward achieving ambitious United Nations Programme on HIV/AIDS (UNAIDS) targets for 2020, while highlighting steps still needed to end the epidemic globally and in the United States. In 2014, following three landmark studies showing that antiretroviral therapy (ART) can function both as treatment and prevention, the Joint United Nations Programme on HIV/AIDS (UNAIDS) issued a call to action known as 90-90-90. This initiative had three goals to be achieved by 2020: 90 percent of all those infected with HIV should know their status; 90 percent of infected individuals should be receiving ART; and 90 percent of those receiving therapy (73 percent of all those infected) should have achieved HIV viral suppression. In 2015, the World Health Organization (WHO) also recommended treatment for all HIV-infected persons regardless of CD4 cell count. In 2015, with only five years remaining to meet the 90-90-90 goal, however, UNAIDS estimated that only 57 percent of those living with HIV knew their status, 46 percent were receiving ART, and only 38 percent had achieved viral suppression. The percentage of those aware of their HIV status varies among countries, with close to 90 percent aware in countries with widespread testing, and less than 40 percent aware in other regions, including West and Central Africa, North Africa, and the Middle East. "Innovative, cost-effective, proven, and scalable strategies are needed if the 90-90-90 goal is to be met," say Carlos del Rio, MD, and Wendy Armstrong, MD, authors of the JAMA editorial. del Rio is professor of medicine in Emory University School of Medicine and the Hubert chair of the Hubert Department of Global Health in Rollins School of Public Health and co-director of the Emory Center for AIDS Research. Armstrong is professor of medicine at Emory School of Medicine, chair of the HIV Medicine Association, and medical director of the Grady Infectious Diseases Program, one of the largest and most comprehensive HIV outpatient clinics in the U.S. Essential steps to reach the 90-90-90 goals, they say, include maximizing testing, expanding testing sites into the community and home, linking those who test HIV positive to outpatient care, prescribing them antiretroviral therapy (ART) and retaining them in care. However, to achieve these goals there is a need to increase clinical capacity, a greater reliance on community health workers, and shifting the focus from merely achieving viral suppression to long-term maintenance of suppression and retention in care. del Rio and Armstrong recommend the U.S. follow the example of a successful test-and-treat intervention in East Africa detailed in an article in the same issue of JAMA. The Sustainable East Africa Research in Community Health Study (SEARCH), conducted in 16 communities of Kenya and Uganda, included HIV testing at baseline and annually through multi-disease community health screenings or at-home. Newly diagnosed persons in the 16 communities were immediately linked to care and ART. At the end of two years, 95.9 percent of HIV-positive individuals had been diagnosed, 93.4 percent had been linked to care including ART, and 89.5 percent of those receiving therapy had achieved viral suppression. The study also helped identify a group at highest risk for never having been tested – young, unmarried men who are mobile and have little education. "This study shows that the UNAIDS 90-90-90 goals can be achieved in a relatively short time in rural settings in East Africa," say the editorial authors. "Importantly, these results highlight some strategies that may be critical to success both in East Africa and in affected communities around the world." These strategies include integrating HIV testing into a multi-disease strategy at non-stigmatizing sites such as community health fairs instead of clinics, patient-centered care with immediate appointments, and a more personal approach including introductions to staff, phone numbers, transportation vouchers, flexible hours and appointment reminders. Although the U.S. National HIV/AIDS Strategy has similar goals to 90-90-90, the U.S. is not achieving all these goals. Although 86 percent of those living with HIV in the U.S. know their status, only 30 percent have achieved viral suppression, and only 40 percent of those diagnosed with HIV are retained in care. As in East Africa, say the authors, the United States must focus resources on developing differentiated care models including patient-center streamlined care delivery, although that will require additional support staff and systems not currently funded. Immediate care and ART initiation also are critical. "The encouraging findings from the SEARCH study conducted in a resource-limited setting would suggest that the United States must redouble efforts to achieve the 90-90-90 goals by 2020 in a resource-rich nation. Otherwise, it will represent a massive failure of health care and public health systems in improving care for persons with HIV disease. After all, if it can happen in rural settings in East Africa, it can happen anywhere."